Time is at a premium - more so in the export/import business than in others. The objective at INTERSHIP is to deliver your merchandise at the earliest time. 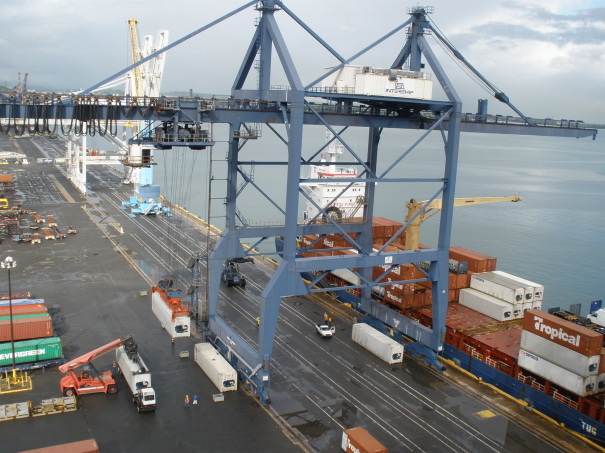 Towards this end, INTERSHIP offers the largest and most modern terminals in the Port of San Juan. •	Capacity – 40 mt. 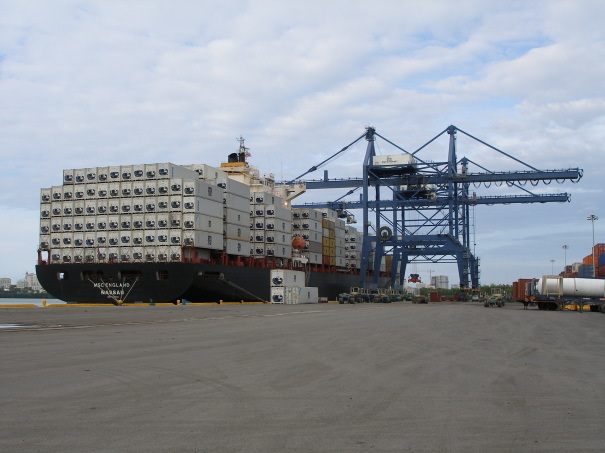 INTERSHIP has three, 140 tons Gottwald cranes and two modern state of the art Post Panamax ship to shore cranes that offer the latest technological capabilities for our operations. 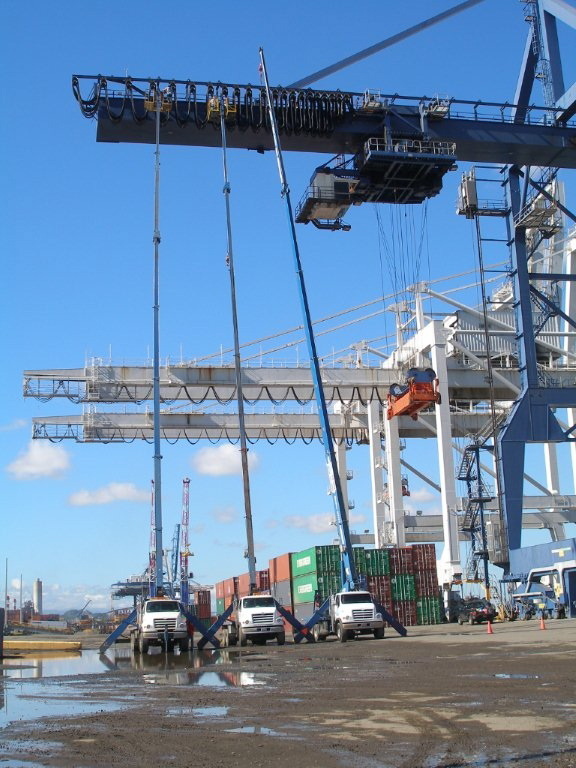 Kocks cranes retrofitted in 2002 by Kone cranes VLC, with new AC drive technology and all the procurement to sustain a confident operation and reliability. 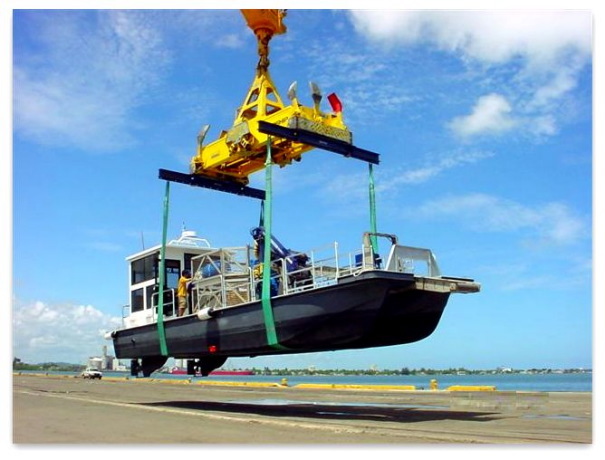 The cranes have a lifting capacity of 40 LT under the spreader, and 50 LT under cargo beam. 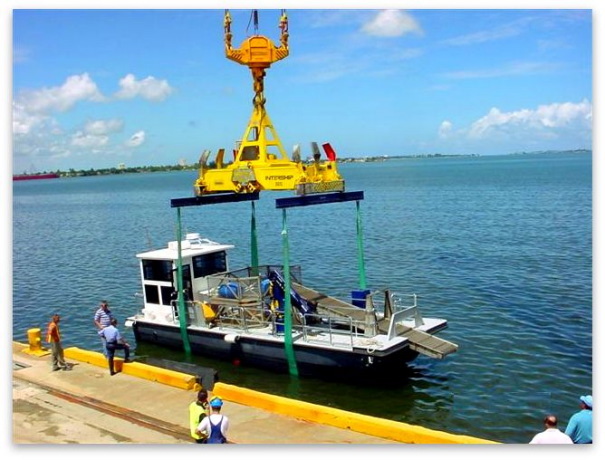 Also, gives the following operational advantages: Trim +/- 5, List +/- 3, Skew +/- 3, and horizontal fine positioning for gantry and traveling of +/- 150mm. The hoist speed reach as 60m/min and trolley goes to 155 m /min. In order to achieve extra capacity, speed and performance needed, the cranes have the new box hunter trolley. 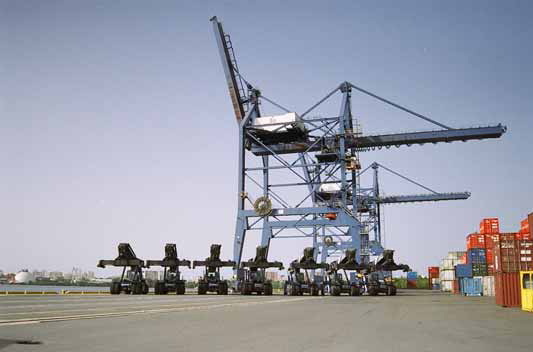 An earlier version was used in RTG cranes, and included four auxiliary hoist machineries that maintain tension on the container to prevent sway. 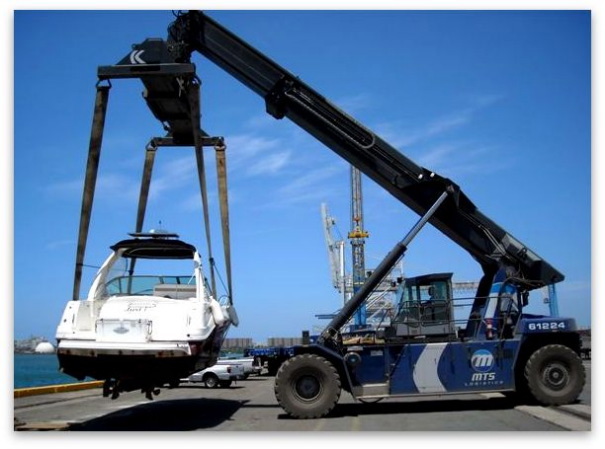 In addition, the positions of the hoist spreader precisely match the position of the container without moving the gantry. Additionally, INTERSHIP offers spare spreaders to reduce downtime. We comply with all your equipment needs to provide the service of excellence your company deserves. 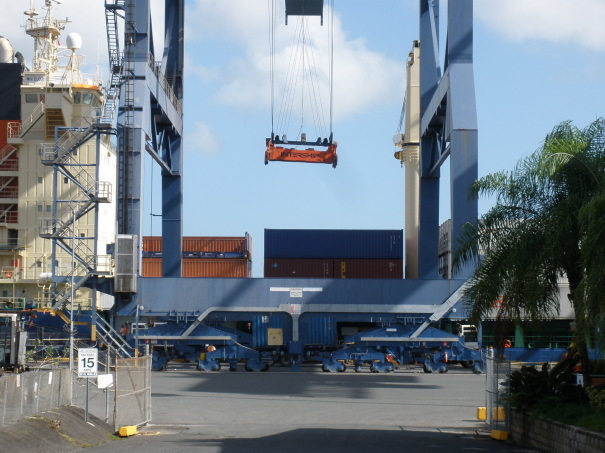 Sixteen (16) Reach & Stacker machines, the biggest fleet in the Caribbean! 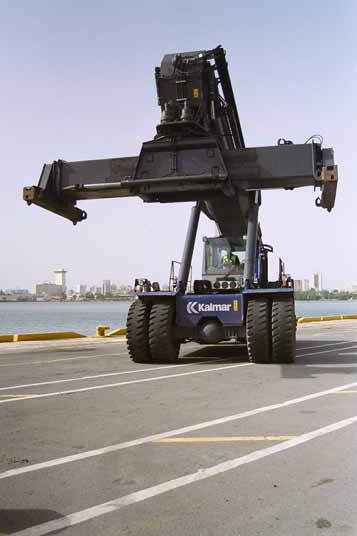 16- Kalmar Reach Stacker Machines - Capacity 40 tons. Kalmar is the number one supplier of Reach Stacker equipment in the world, so our choice has always been to match the cargo customer’s to the best equipment. 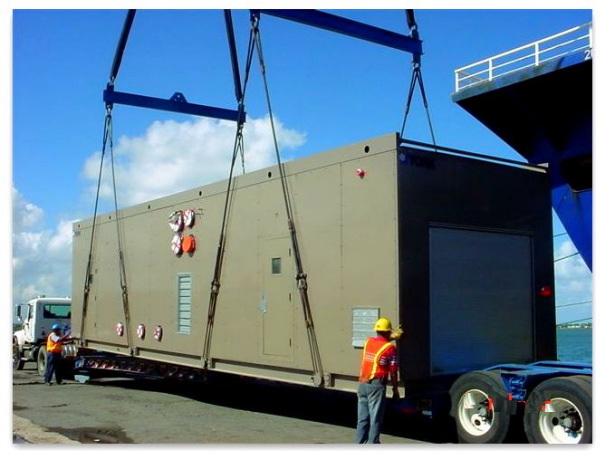 Flat racks, tanks, containers, boats, transformers, car carrier containers, mobile homes and all the cargo that your company might bring is in safe hands under the spreader of this equipment. 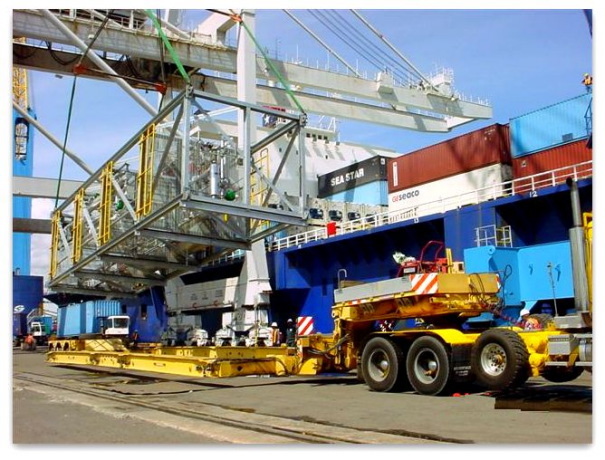 Also, if your company is not moving the cargo thru our Terminal, we can provide the shifting services you might need for your chassis, flat rack, platform or any other vehicle of transportation. 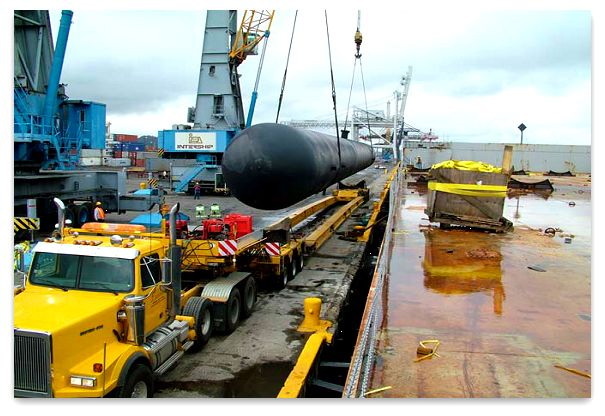 Our equipment is capable of hydraulic pile slope to level your cargo, as well as forward and backward tilt functions all over its rotation range of one hundred and five (105) degrees rotation counterclockwise and one hundred and ninety five (195) degrees rotation clockwise. So, if you have cargo, we will match your challenge! 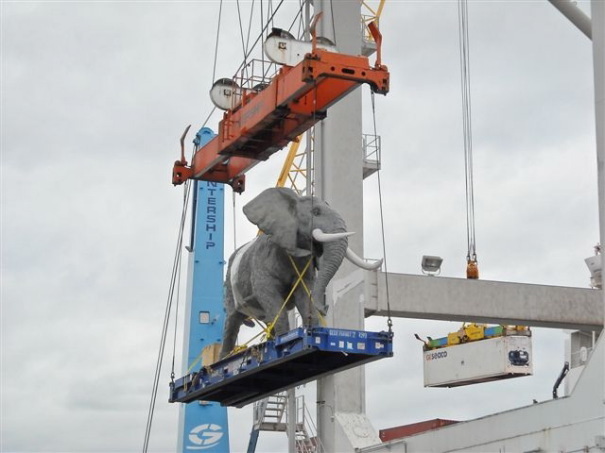 Our new generation of cranes bring a successfully container handling operation with the capabilities to handle break bulk. 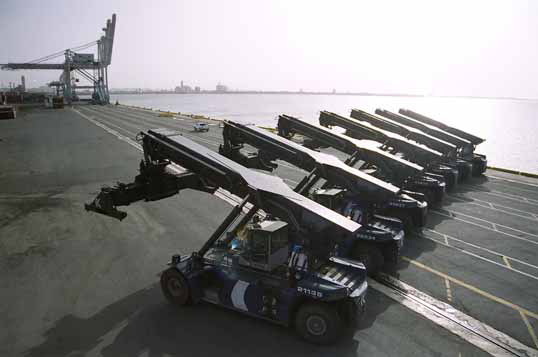 •	Torlleys Speed – 134ft/min.